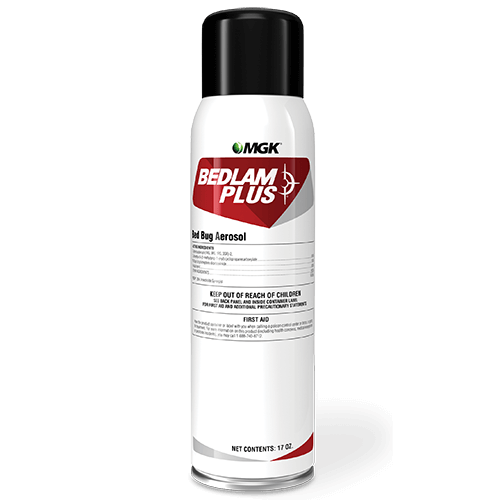 Bedlam Plus Insecticide aerosol features dual modes of action that kill the toughest bed bugs and pyrethroid-resistant bed bugs fast. Featuring a combination of quick kill and residual control, Bedlam Plus keeps on killing for up to 16 weeks. * Bedlam is the first name in bed bug control. *Indoors on ceramic (nonporous) surface. What package sizes are available for Bedlam Plus?